Just For Women episode 52: Debba Haupert, Founder of Girlfriendology.com Tells Us Why Connecting With Girlfriends is SO Important! 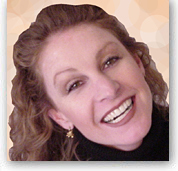 Debba Haupert is the founder of GIRLFRIENDOLOGY.com – an online community for women based on inspiration appreciation and celebration of female friendship. Through GIRLFRIENDOLOGY.com, Debba offers semi-weekly audio podcasts with girlfriend authors and experts, as well as blogs, videos, contests, reviews, shopping and more. She started Girlfriendology in response to being so blessed with great girlfriends. Through research and reading, she learned that this need for girlfriends was biological. Women have a true need to have community with each other. In fact, in the book “The Tending Instinct” by Shelley Taylor, it is shown how we ‘tend and befriend’ as a natural part of our DNA. (As women we have the NEED to tend to our young and be around our girlfriends.) In fact, female friendship reduces our stress and makes us healthier, happier and even live longer. With her background in corporate marketing, Debba build an online community for women based on inspiration, appreciation and celebration of female friendship. Her experience in technology and online marketing paired well with her passion to learn about and apply the principles of social media marketing. Through her website, blog, podcasts and videos she shares inspiring stories and encourages women to place a priority on female friendship. She also offers shopping, contests and reviews on the site to offer a well-rounded online community and destination for positive female friendship and sharing with no ranting, male bashing, negative ads, etc. Debba believes that friendships fostered through Girlfriendology and among girlfriends make us more compassionate, aware, caring and peace-minded. She also believes that, together we can change the world – one friendship at a time. Visit Girlfriendology.com for more information.